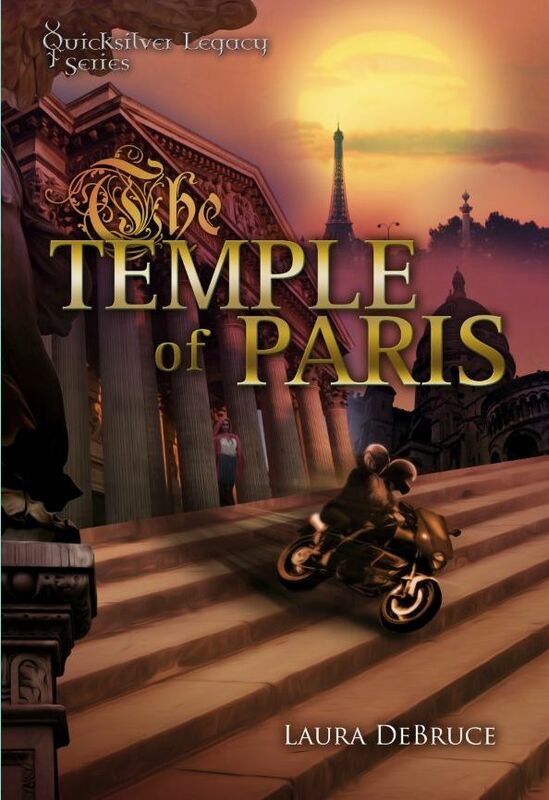 When 18-year-old Hana Silna travels to Prague to reclaim her family’s ancestral home, she finds herself on an unexpected adventure in a city brimming with ancient secrets. She discovers a riddle by the infamous alchemist Edward Kelley that claims to lead to a long-last flask. The contents of that flask could change the fate of the world. When a ruthless enemy kidnaps her family, Hana has to find the flask to rescue them. On her quest she meets a mysterious man with a penchant for poetry, a Gypsy girl with a haunting past, and Alex, the motorcycle-riding son of a U.S. diplomat. Alex — who’s trying to save his sister from a crippling disease — joins Hana on her race across Bohemia to find the hidden flask. It’s hard to trust anyone when the stakes are this high — especially when surrounded by experts at deception. There’s only one flask and Hana desperately needs to find it. 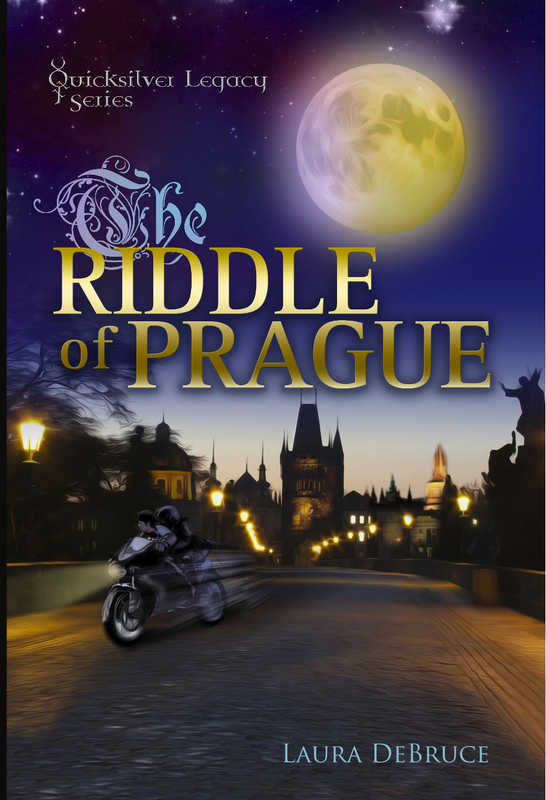 In The Riddle of Prague, American teenager Hana Silna travels to Prague to reclaim her family’s ancestral home. On the plane ride over, she meets charming, handsome David Bolton who seems to disappear in the middle of the flight. Her grandmother warns her that other relatives are not who they seem to be. On her second night in Prague, she wakes up in the middle of the night to find terrible and mysterious things happening under the roof of her house. The excerpt below takes place after Hana goes down into the basement to find out what’s going on. A loud noise upstairs makes me jump. The heavyset man pulls a gun from his waistband and walks with quiet deliberation toward the stairs. I recognize Franta, but with his glaring eyes and the gun in his hand he doesn’t look like the affable fellow who offered me Becherovka just a few hours ago. . . . Michal lies on the ground, his back contorted, a slow trickle of blood oozing from his left shoulder. I can see now that the woman in black is Simona. 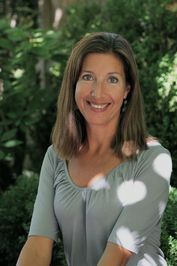 Babi’s warning echoes in my head: “Sometimes she’s someone else.” But who? And why? Simona hoists Michal’s arm over her shoulders, drapes as much of his sizeable bulk over her back as she can, and moves slowly to the garden door. She needs my help. It doesn’t matter who she is or who she’s pretending to be. Michal is hurt. I take a step to reveal myself, but the sound of loud, angry voices keeps me shrouded in the shadows. “Go! Now!” Franta’s voice bellows down the stairs followed by the unmistakable noise of a gun exploding. Simona drags Michal to the garden door and kicks it open. Two figures dressed in beige and white army fatigues scuttle down the stairs accompanied by the sound of jangling chains. One is square and stout, and the other is well over six feet with a translucent-white face and short-cropped hair except for a spiky, blazing-red Mohawk. At first I think the skinhead is a man, but when they pass me I realize she’s a woman—a very tall and frightening-looking woman. They both rush at Simona. “Look out!” I call, but at the same instant Simona hollers and hurls a glass ball at the intruders. The glass shatters, vapors steam up from the ground, and a thick, sweetish smell fills the room. The skinhead yelps and rubs her balled fists into her eyes. Simona pulls Michal through the door to the garden. I hear the door slam shut, and then I feel myself falling and the whole room goes dark.